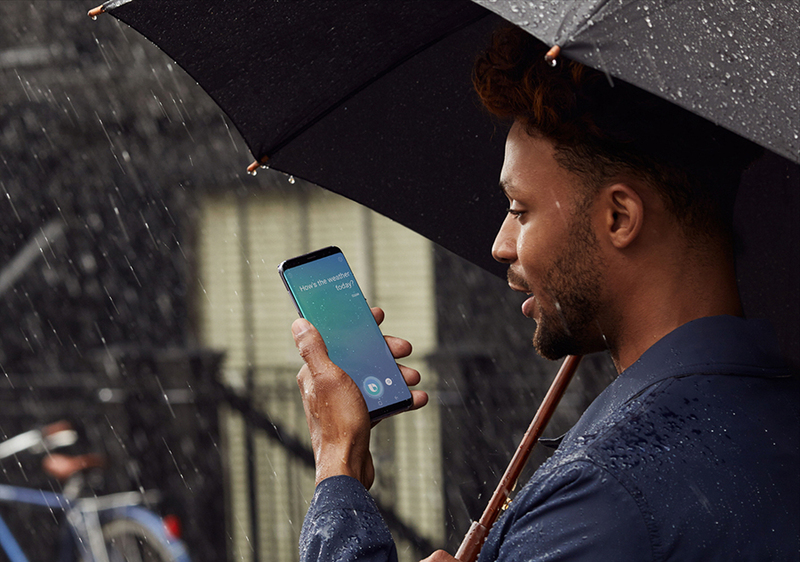 Earlier this week, Samsung announced that customers across more than 200 countries around the world—including folks who live in the United Kingdom, Australia, Canada or South Africa—can now use Bixby’s voice capabilities in Korean or US English. This shouldn’t be confused with actual language support because Bixby currently understands two languages only: US English and Korean. By comparison, local language support for Apple’s Siri is available in 36 countries. Natural language understanding allows Bixby to continuously improve its ability to interpret regional dialects. But, since Bixby learns more frequently used command terms more quickly, it will take more time for Bixby to fully understand regional dialects that are used less frequently. Samsung is hoping that the expansion will put it in a better position to compete with Amazon’s Alexa, Apple’s Siri, Google’s Assistant and Microsoft’s Cortana. It could also be viewed as laying the groundwork for an upcoming Samsung smart speaker, which is officially on the way. While Bixby has yet to learn new languages beyond Korean and US English, expanding its availability will give Samsung access to the kind of big data its engineers desperately need in order to train Bixby to speak English and other languages more fluently. “Developing Bixby in other languages is taking more time than we expected mainly because of the lack of the accumulation of big data,” a Samsung source said recently. Currently available on the Galaxy S8 and Note 8 smartphones (you can activate it with a press of the dedicated button on the phone’s side or by saying “Hey, Bixby”), the voice assistant lets users navigate their phones and interact with services and apps using their voice. Bixby works across major Samsung apps and supports multi-step and cross-app requests, with support for additional native and third-party apps coming via Bixby Labs. And when an app becomes Bixby-enabled, Samsung has said, the assistant will support almost every task the app is capable of performing using voice, touch or text. Samsung has promised further features for Bixby, like an augmented reality-like Bixby Vision feature that will let users point their phone at an object to get relevant information. In the future, the assistant will have the learning power to offer more intelligent and personalized interactions and seamless connections across more devices. Eventually, Bixby will find its way into other devices Samsung makes, including refrigerators.